The holidays are upon us and it’s one of my favorite times of year for crafting! 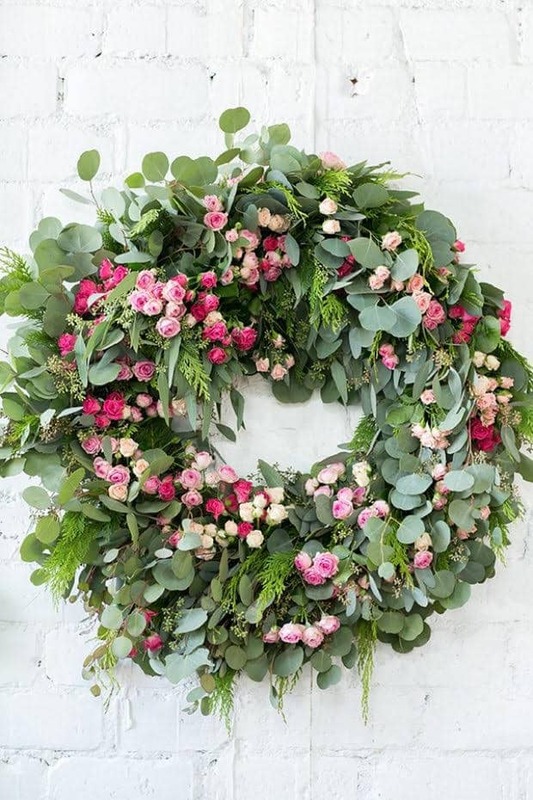 One thing we always make sure to include with our holiday decorating are plenty of wreaths. 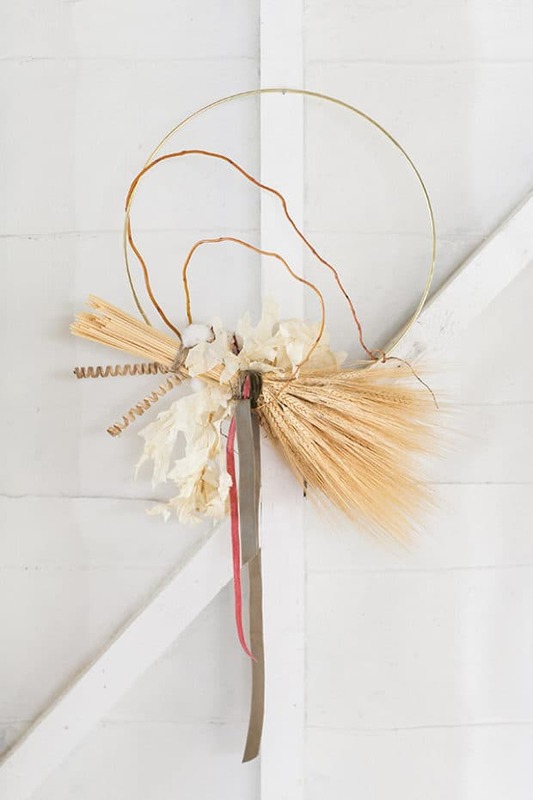 So we rounded up some of our favorite Modern Holiday Wreath ideas and a few beautiful tutorials to DIY them yourself! Wreaths are one of my main holiday decor items and I use them for windows, walls and of course the front door. It’s fun to add a modern twist on a classic and of course making them is always great too! Paper & Stitch created this beautiful asymmetrical wreath and I love the colors! 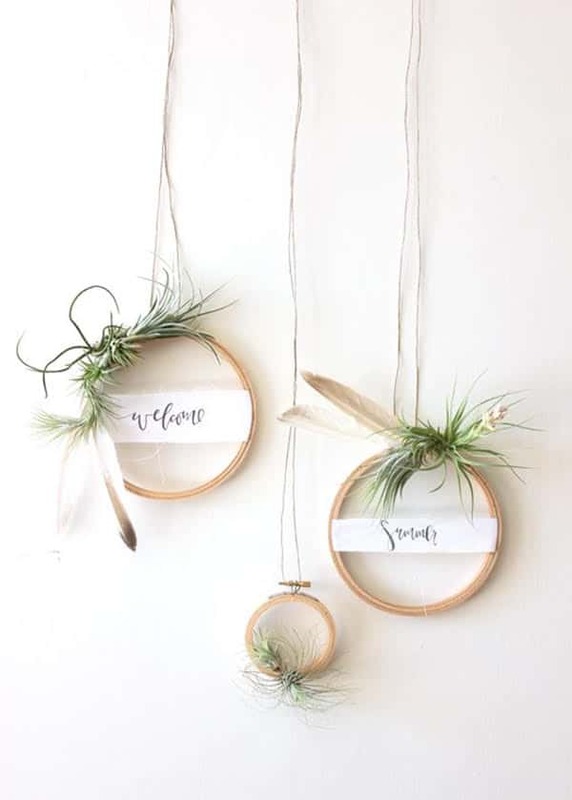 A Fabulous Fete made these beautiful calligraphy wreaths that would look beautiful in a window or even when wrapping gifts! We did a DIY on this three ring gold wreath and it’s still one of my faves! It kind of looks like a snowman! See the DIY here. 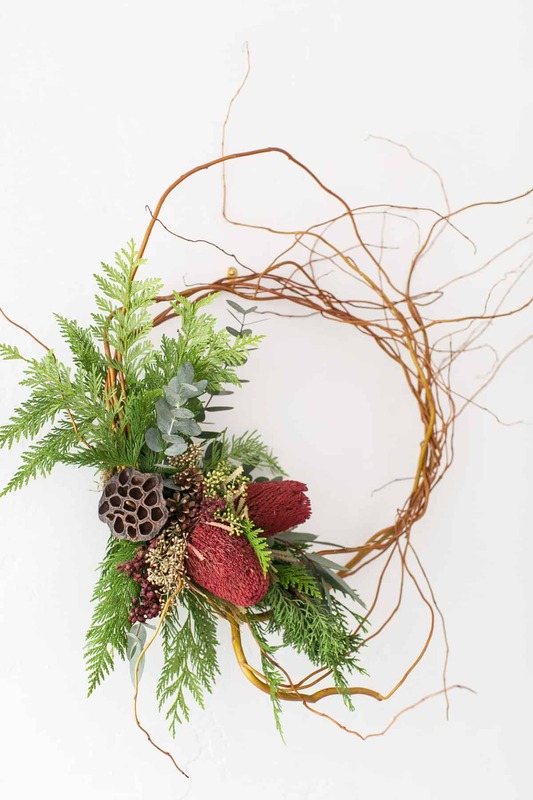 My girl Cassie over at Coco & Kelley created this gorgeous winter woodland holiday wreath! 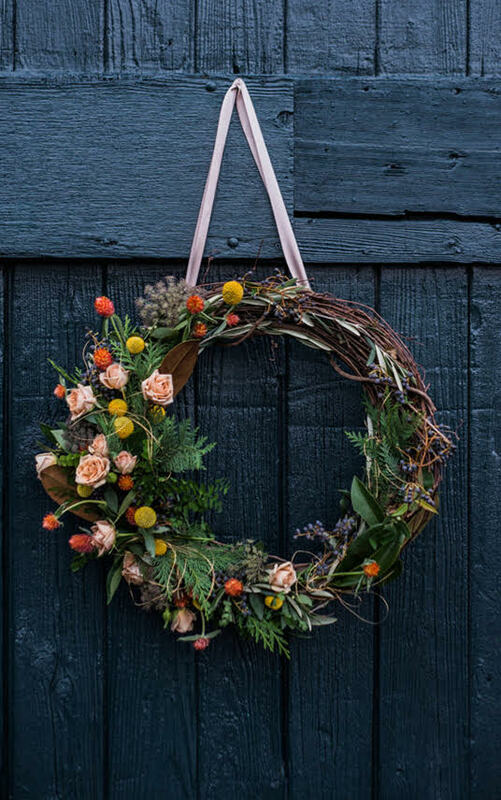 Such a cool wreath concept from Fall For DIY! 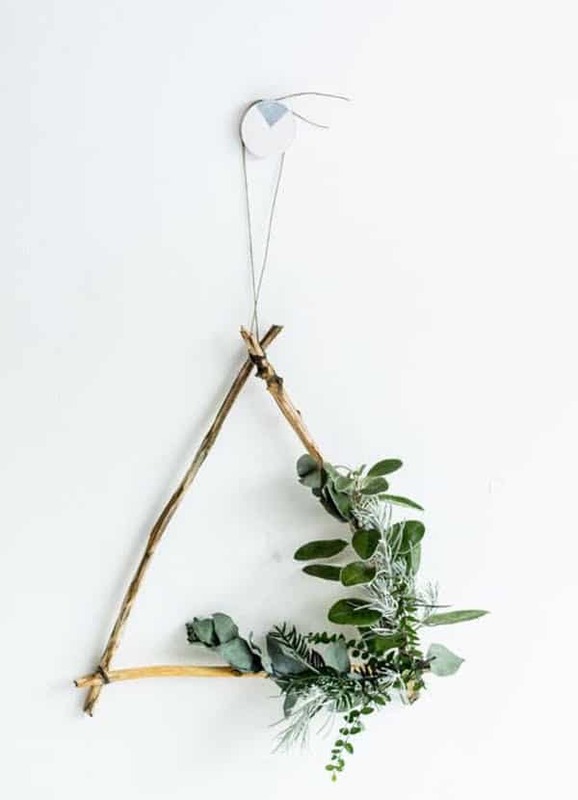 A DIY Foraged triangle wreath. See the tutorial here! 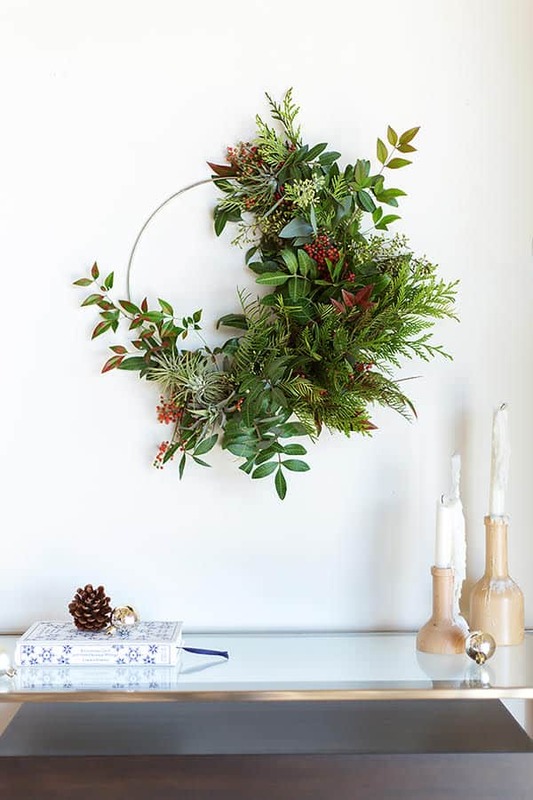 This stunner is from our holiday wreath making party! 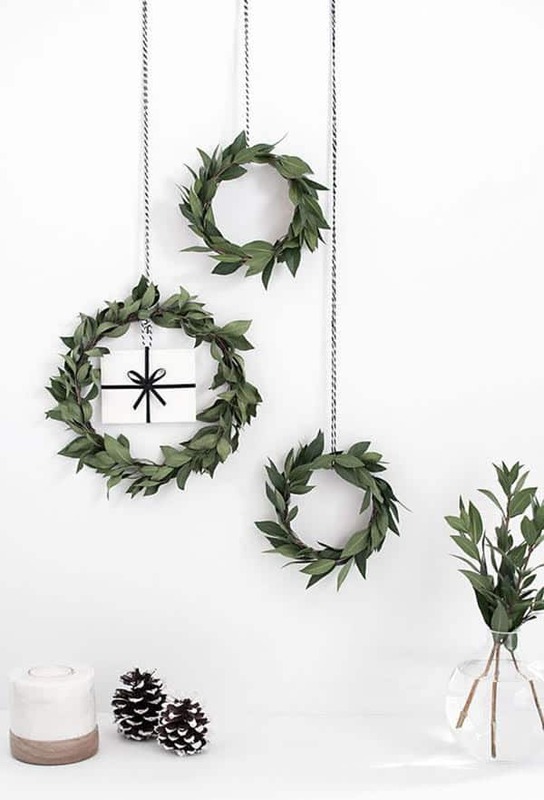 Amy Homey Oh My made these beautiful wreaths and we adore how they look hung together! 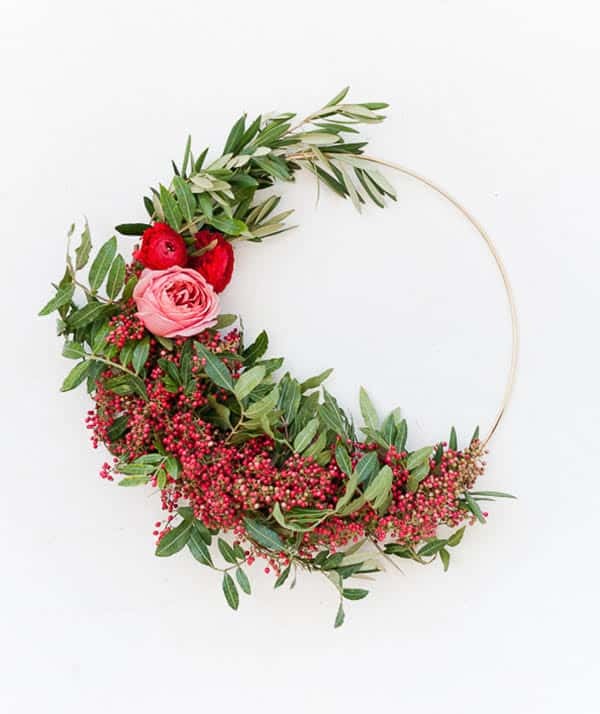 Love the fullness of this gorgeous wreath on Camille’s site! We used this one for our Thanksgiving post. Erin from White Fig Designs made it! 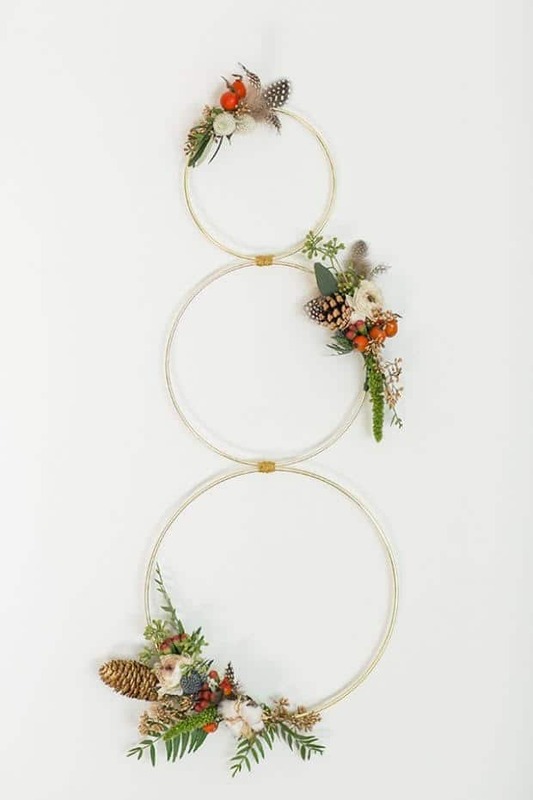 I snapped this picture of this gorgeous modern, twig wreath for Erin of White Fig Designs and had to share! It’s just lovely!